Does the environment matter in the US presidential race? Q: Just how much does the environment matter in the presidential race? A: Not very much, but it should. When asked 'do you care about the environment' or 'how much does the environment affect your vote', the average voter will tend to say that yes, the environment does matter to them. Many go so far as to say they would prefer to pay more tax if they knew it would be spent on helping the environment. I have conducted several large-scale public research projects on how people really feel about the environment and the way it links to politics and to the election season and every time people have said 'yes' we care about the environment. Dig a little deeper however and you'll find that when the average voter says they care about the environment, they actually mean they care about clean water, clean air and enjoyable green spaces to spend their weekends in. Do they mean they have a specific passion about the banning of phenylalanine in food products, want to go marching to stop pesticides being using on a wheat crop or that they are likely to spend their spare time picking litter up on a street they don't care about? Of course they don't. When people think about their own personal feelings about the environment, they think about the parts that affect them directly. And why not? It is natural that they should care about themselves, their children and the town they live in. For those living in the city, air quality and green spaces clearly affect the quality of life they can expect. For those in the countryside, they want to protect as much of their view as possible. For those working in the countryside, the notion of not caring about the environment is laughable - livelihoods are dependent upon it. In reality, the environment doesn't really sway a lot of votes unless it is used in an emotive way; you need pictures of handsome children playing on littered parks, videos that link the ideas of pollution and the water you're drinking right now and, preferably, a villain. This is where the environment really meets the elections, saying 'Romney doesn't care about the air your children breathe' or 'Obama cares more about raising taxes than he does about US farming' is easy. Having an actual environmental policy is difficult, requires the use of science and research and above all it is messy. And anyone who's ever worked in PR will tell you that you can't sell messy. However, with China set to overtake the US in scientific research, the Canadians getting increasingly irked at being the overspill pond for US pollution, biodiversity problems reaching breaking point and intensive farming finally facing an unprecedented systems overhaul, the new government will have to come up with some actual policies at some point. Even if the policies are of lighter government interference in science policy, as the Republicans are likely to favour, they then have to deal with the fact that stem-cell research and gene manipulation come under the same wing. So will it be a case of heavy handed with medical research whilst taking a step back from the industrial and agricultural sciences? And how will they sell that contradiction? With the Democrats we are sure to be told that they are 'the party of the environment' and the only party that cares about the rare butterflies of Indonesia; however if they don't start applying their policies on US soil soon they will lose the faith of the green voters. In the past both parties might shrug off the importance of the environment and the factions that campaign on agricultural and environmental issues. The numbers are too small, the party loyalty is too ingrained and therefore the votes are taken for granted. 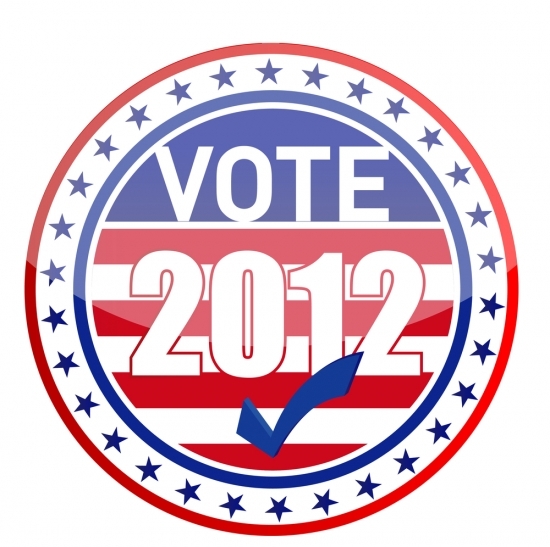 However, if I was working as a political aide in this election, I'd have my eye on the next election as well. And the truth is that 3rd Party politics and independent candidates look set to remain on the US political agenda, splitting votes at every election. It is possible that in the future it will not be the party who winds the most votes that puts a President in the Whitehouse; it may be the party who loses the least votes to the independents and 3rd Party candidates. Meanwhile biodiversity, world hunger, international GM regulations, climate change and the price of food all continue to creep their way into the everyday conversations of everyday voters, as the general public become more environmentally aware. Coupled together these trends may make for an interesting electoral situation wherein it could be the party of agriculture or the party of the green that sway elections in the US, particularly if the economy continues to focus voters' minds on food prices and the lack of jobs in the production industries. If the agricultural pressure groups and environment activists were not so opposed ideologically, they could just become the 3rd Party to watch out for.